The Central Intelligence Agency (CIA) declassified some of its unique maps from its Cartography Center, originally launched in October, 1941. To celebrate the center’s 75th anniversary two years ago in 2016, the organization classified some of their original maps that are no longer in use. The release included over 130 maps that played an important part in the agency’s role in world intelligence. 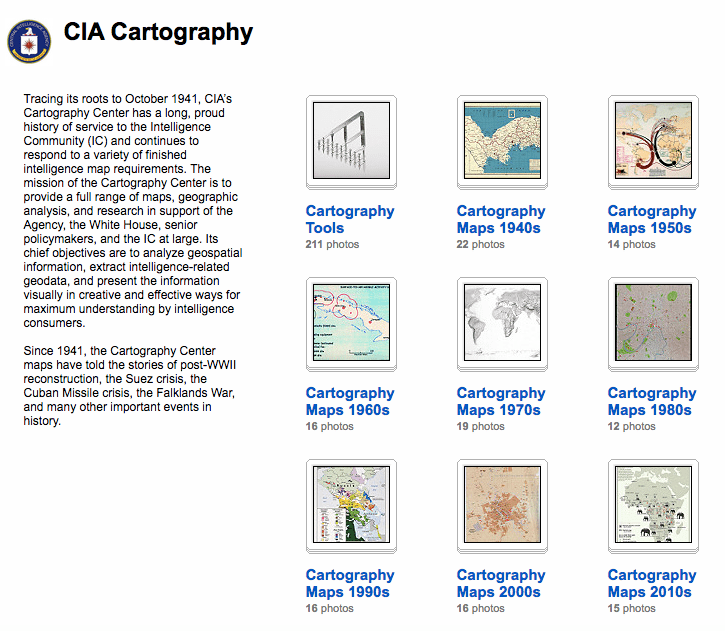 The agency also declassified over 200 of their cartographic tools and images. The released images are categorized by year starting with the department’s beginnings in 1941. The first map demonstrates the CIA’s interest in the Korea Peninsula. This declassified release is interesting and important to see how the CIA views world issues and their use of maps to monitor or act on these events concurring on the international stage. The map above demonstrates the CIA’s knowledge and interest in the ivory trafficking trade from Africa to Asia. The map was produced in 2013 and is one of the newest declassified maps from the CIA. The information was produced based off what ivory was seized by industry traders in the regions above. The map even pinpoints how the ivory was traded across to Asia by sea, air or if it was sold within the domestic markets in Africa. 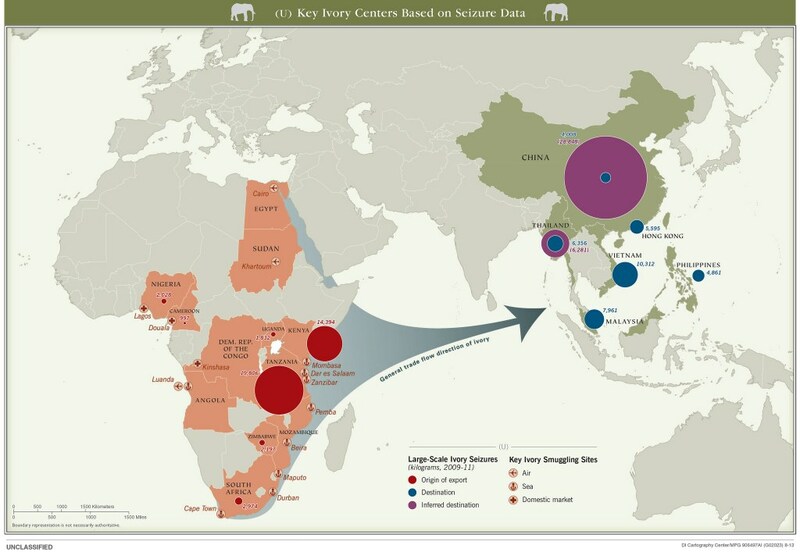 The map was used from 2009-2011 which shows the agency’s active interest in understanding ivory traffickers. Selling ivory is currently prohibited in the United States finally banned by the Obama Administration which might indicate a heightened concern in mapping the ivory traffickers paths. The full declassified map and detailed data collection released by the CIA can be found in the source box and contains maps from the beginnings of their cartography department in 1941.